Published Apr 24, 2014 by Cisco Press. Part of the LiveLessons series. 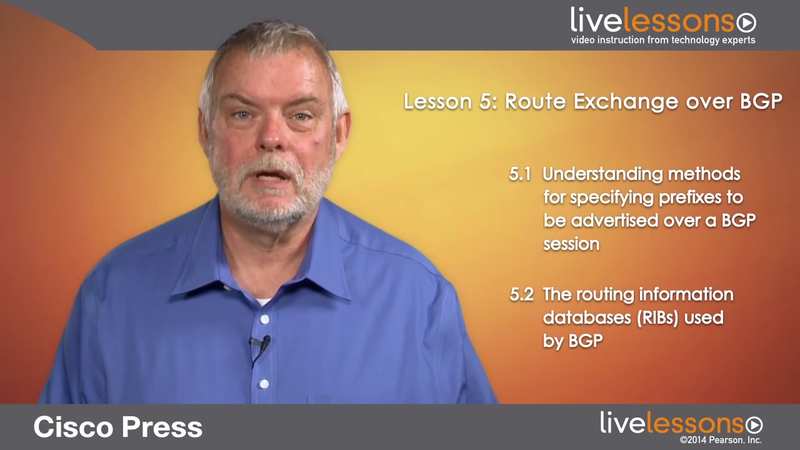 This unit demonstrates methods for specifying prefixes to be advertised over a BGP session, using the session configured in the previous unit. The routing information databases (RIBs) used by BGP are also introduced, and the “show” commands for observing the prefixes in the RIBs and the routing table are demonstrated.